‘Having a Choice’ Amidst Climatic Uncertainty: Can ICTs Help? Having a choice plays a critical role within processes of adjustment and change. It involves the assessment and judgement of different options, and the skills necessary to make a decision among alternatives that have a positive value. Thus, ‘having a choice’ has profound implications in the ability of individuals, communities and even nations to cope with and adapt to the impacts of climate change. This notion is particularly relevant within developing contexts affected by more intense and frequent climatic events and uncertainty, and where ‘choices’ are limited by deeply rooted development challenges, resource and assets constraints. Poverty, social and political marginalisation, geographical remoteness, high information costs, and even the loss of cultural memory and of the sense of ‘belonging’ to a given territory, are among the factors that shape people’s behavior, and that limit their ability to assess, judge and decide between different courses of action. But the widespread diffusion and use of Information and Communication Technologies (ICTs) such as mobile phones, radio and Internet-based applications could be changing the way in which choices emerge and are implemented within vulnerable contexts affected by climate change. Experiences from the field suggest that ICTs are facilitating access to new information and ways to share and create knowledge, thus broadening the resources (e.g. informational, economic and human) available within vulnerable environments, and helping to strengthen decision-making processes. In Nepal, a mobile phone-­based system is enabling farmers to communicate with agricultural traders and service providers in nearby markets, helping them to be better informed about current market prices, to compare prices, and to decide where to sell their products before undertaking long and often costly journeys. Participatory videos are being used in Kenya, Zimbabwe, Malawi and South Africa to enable communities to record local climatic impacts and adaptive practices. These videos have allowed marginalised communities to recuperate traditional knowledge, to actively engage in climate-related responses, to interact with different stakeholders, and to discuss and assess collectively different adaptive options relevant to their local priorities. Other applications such as e-mail and Web 2.0 tools like Skype, Facebook or Wikis are helping to consolidate broad networks and communities of practice where adaptation lessons and options are shared and discussed among a wide variety of actors, including developing country communities that share similar climatic challenges. Ultimately, these and other emerging experiences suggest that ICT tools can play an important role in the ability of vulnerable systems –at the individual, community or national level- to ‘have a choice’, and to strengthen their capacity to adjust and adapt to change. Enabling Choices, through a strengthened ‘informatics ecosystem’ of data, information knowledge, technology, and social processes. ICTs can enable choices by making actors aware of alternative courses of action (e.g. through information exchange in broader social networks), by supporting informed decision-making (e.g. considering the lessons learned by different communities shared through videos or social networking sites), and helping to improve local adaptation capacities. Exploring and Evaluating Choices, through increased access to information and knowledge resources with the help of both traditional (e.g. radio, television) and emerging technologies (e.g. 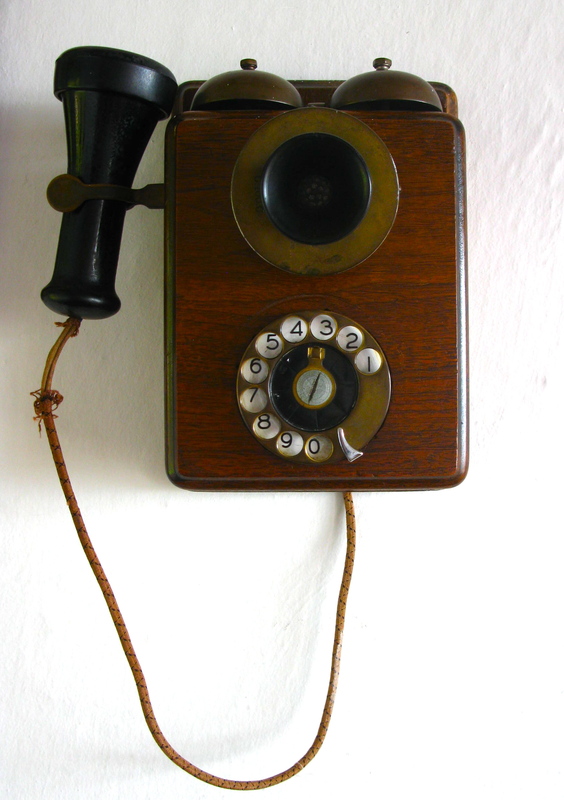 mobile phones, Internet-based applications). This involves the role of ICTs facilitating access to information that is appropriate and relevant for the local audience/context, and that helps them to prioritize options and assess their implications. Enacting Choices, through access to a wider set of resources that contribute to strengthen local livelihoods (e.g. facilitating access to markets, commercialization opportunities, income diversification, online training, technical skills and expert’s advice to improve productivity), thus increasing the local capacity to implement change or to act upon the choices made. The role of ICTs towards enacting choices is also linked to enhanced access to adaptation resources (e.g. dissemination of available credit programs, government or donor adaptation initiatives, or opportunities for local partnerships). Having a choice is a pivotal, yet often underrated component of climate change adaptation processes, particularly within vulnerable contexts. While the choices available within these contexts are often scarce and conditioned by a number of factors, the severity of climate change impacts is posing the need to re-think the way in which alternative courses of action can be created, fostered and implemented in order to reduce vulnerability. The role of ICTs in the creation, management and dissemination of knowledge and information is shedding new light on their potential to influence people’s behaviour and ways of thinking, of learning, of making decisions, and of interacting with each other. Field experiences indicate that ICTs can be valuable tools to enable ‘choices’ amidst increasing climate change impacts and uncertainty, particularly for the most vulnerable populations. Leadership plays a crucial role within processes of change and transformation, particularly those associated with the impacts of climate change and variability. In vulnerable developing contexts affected by more frequent and intense climatic events, local leaders are key in the adoption of innovation and learning, as well as in the capacity of vulnerable groups to self-organise and participate in processes that enable them to better withstand, recover and adapt in the face of increasing climatic uncertainty. By having a direct understanding of the development needs, the stakeholders, the values and beliefs, and the socio-economic dynamics that characterize their communities, local leaders are in a unique position to catalyze processes of adjustment and change. They can be crucial to influence the views, attitudes and behavior of vulnerable groups towards climate change, motivating them to act, autonomously, in response to the challenges and the opportunities that emerge from climatic impacts. Thus, local leadership is essential in processes of adaptation and resilience building. In turn, the notion of leadership is closely linked to effective communication. The rapid diffusion of Information and Communication Technologies (ICTs) in the global South is not only enabling new ways of accessing information and knowledge, but is also posing new opportunities to exercise local leadership, particularly in regards to climate change adaptation. The increasing use of ICTs such as mobile phones, the Internet and community radio, is providing new channels through which the most vulnerable sectors of the population can be reached and be heard. However, the role of local leaders remains vital to ensure that scientific research percolates to the micro level, and that there is a dialogue and a representation of local interests within wider processes of adaptation planning and implementation, among others. So, what are the linkages between local leadership, ICTs and climate change adaptation? Uncertainty is one of the main constraints of effective decision-making during times of change and climatic shocks. Local leaders can play an important role mitigating the anxiety and the confusion generated by climatic uncertainty, thus enabling communities to take action. ICTs can contribute by enabling access to climatic information that is relevant to the local context, in formats and languages that allow broad dissemination and timely access. For example, early warning systems, weather forecasts, market prices, or information about the state of local transportation can be disseminated through mobile phones via voice or short message service (SMS) or through community radio, helping to reduce uncertainty and assess options at the local level. Updates and reports from local leaders on financial and credit options to undertake adaptation (e.g. crop diversification, infrastructure improvements, water management systems) can also help to boost the community’s morale and performance during climatic events. Effective communication can be crucial to improve the attitudes of local actors towards change. Messages that respond to local priorities and information needs, mechanisms that allow for interaction and feedback from community-based actors, as well as information that originates in trusted sources, are among the key components of effective communication. ICTs such as Internet-based mapping applications, Geographic Information Systems (GIS) or radio programs can support the creation and dissemination of relevant content by local leaders, and improve the public’s perception about both the threats and the opportunities that may emerge from climate change manifestations. Broadly disseminated messages from local leaders (e.g. online distribution lists, Web page, Blogs, social networking sites) can help to reduce apathy in regards to the need to adapt to climate change, and can motivate local actors to self-organise towards common interests (e.g. protection of water sources, monitoring of hydro-meteorological variables). Social networks are at the core of a community’s ability to cope with change, and potentially transform. Local leaders are often recognized and trusted members of extended networks that can be crucial to provide support and disseminate information in the event of climatic events. Web 2.0 and new media applications such as Blogs, wikis or social media networks (e.g. Facebook) can provide useful mechanisms for local leaders to share their knowledge and experiences, and to engage in wider networks that could be provide additional support to local actors (e.g. know-how, traditional knowledge, volunteers), and that could be mobilized during processes of change. Learning –from both traditional and new sources- is a key attribute of resilient communities. Local leadership is crucial to gather existing knowledge and to learn from a wide range of adaptation experiences to better equip local communities to deal with climatic impacts. ICTs can motivate communities to explore new ways of doing things, and systematize traditional knowledge in support of inter-generational learning. Online learning tools can complement one-to-one and group training processes, particularly in remote areas. At the same time, a more continuous communication through mobile phones can strengthen local leader’s mentoring and exchange of experiences, as well as the monitoring of adaptation actions. The use of Internet-based applications in community telecentres and local radios can also support training in different skills (e.g. entrepreneurship, farm management, communication) that could contribute to strengthen local livelihoods, as well as the decision-making capacity of community-based actors. Enhancing climate change adaptability is ultimately a social process that requires interaction and engagement by a broad set of stakeholders. Local leadership is an important catalyst within processes of change and transformation, such as those motivated by the impacts of climate change and variability. Within those processes, ICTs can foster local leadership and contribute to enhance adaptability by helping to mitigate climatic uncertainty, to improve public perceptions and self-organisation, and to strengthen social networks and learning, among others. The use of ICT tools to access and share relevant information can help to improve the confidence and the technical advice provided by local leaders, thus contributing to the community’s ability to overcome climatic challenges and take advantage of potential opportunities. Exercising local leadership within the context of climate change is about enabling transformation, generating willingness to take action, and fostering the local capacity to make informed decisions amidst uncertainty. While face-to-face communication will remain at the core of local leadership and climate change awareness, particularly within rural contexts, and while many issues remain to be addressed in regards to use of ICTs to tackle local information asymmetries (e.g. lack of connectivity, literacy and technological skills, among others), emerging climate change adaptation experiences suggests their potential in support of local leadership and community empowerment. While the need to adapt is undeniable given the challenges posed by climate change and variability, the way in which we understand, approach and enable adaptive change should be given careful consideration, particularly within developing contexts. Within vulnerable livelihood systems, adjusting and changing in the face of more frequent and intense climatic events is a process that requires much more than economic resources. Adaptation involves the identification of innovative tools and approaches that foster social learning and flexibility, as well as strengthened institutions, broader participation and networking, heightened environmental awareness, processes of self-organisation and multi-stakeholder collaboration, and political will, among others. (*in the picture, a coffee producer using his mobile phone). Thus, the design and implementation of climate change adaptation strategies provide an opportunity for developing countries to embrace change from a novel perspective; one that builds on the resourcefulness, the ingenuity and the wealth of traditional knowledge available within these contexts. The increasing diffusion of Information and Communication Technologies (ICTs) within developing environments can help to enable those novel perspectives towards enhanced adaptive capacities. The availability of information and knowledge is one of the most important conditions for the adaptation of vulnerable systems to the impacts of climate change. But not just any information and knowledge, but those that (a) respond to the local needs and priorities, (b) acknowledge and strengthen local knowledge and capacities, and (c) contribute to the empowerment of stakeholders -at the micro, meso and macro levels- to make informed decisions amidst multiple vulnerabilities and climatic stressors. Within vulnerable contexts, the growing adoption of ICT tools such as mobile phones and the Internet, in combination with more traditional ones such as radio and printed media, could support more effective, transparent and inclusive processes of adaptive change. What types of changes can ICTs enable, to contribute to climate change adaptation? A variety of Web 2.0 tools (e.g. Blogs, Facebook, Twitter, among others) are being increasingly used to disseminate information and give visibility to local climate change experiences and issues, fostering discussions and debate among stakeholders from different sectors and regions, thus influencing attitudes and perceptions. The use of ICTs in models and projections has contributed to improve the understanding of climate change trends, and has provided new tools for planning and preparedness. Applications using remote sensing, GIS, earth browsers such as Google Earth and Visual Earth, as well as Web-based clearing houses for disseminating information and foster broader communities of interest for environmental analysis, also contribute to an increasing body of knowledge in this field. USAID’s Famine Early Warning Systems Network provides an agro-climatic monitoring system of real-time weather hazards (flooding, dryness and extreme hit) and food security for a number of developing countries, helping to increase public awareness on a variety of climate-related issues. At the same time, ICTs have helped to increase the visibility of political processes such as the United Nations Conference of Parties (COP17), which uses the Web, Twitter, Facebook, YouTube and Blogs to disseminate information and updates about the process and outcomes. 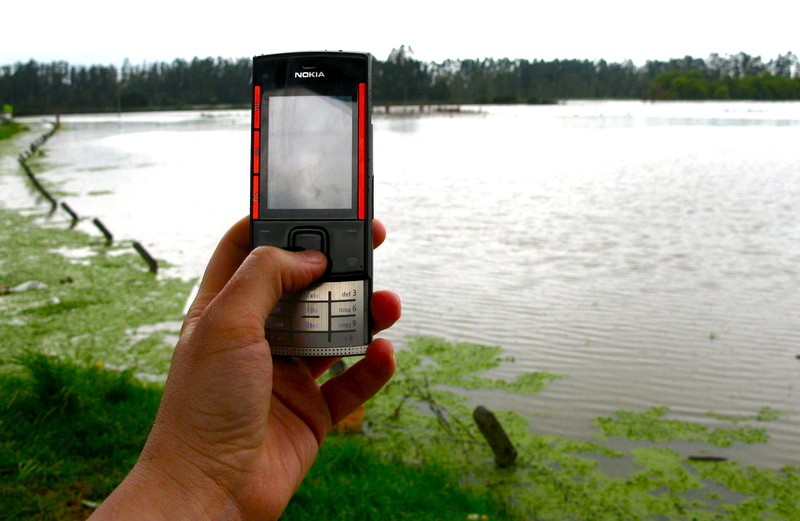 Vietnamese villagers have been trained in the use of mobile phones to report the likelihood of localised flooding to the regional Hydro-Meteorological Center in Ho Chi Minh City. This training fostered local involvement in forecasting and early warning in vulnerable flood plains. The information that is fed back to locals via billboards and loudspeakers contributes to strengthen local preparedness. Radio broadcasts on relevant local issues –such as training on irrigation planning and crop diversification strategies- can also contribute to strengthen local skills and capacities. Mobile phones are used in India as part of agro-advisory system called mKRISHI, allowing farmers to send queries to agricultural experts in their local languages and receive personalized advice, as well as to access information on market prices, harvesting times in relation to weather and fertilizers’ use, among others, allowing them to make informed decisions to improve their livelihood. The use of ICTs to capture, process and disseminate information has helped to highlight the transversal and multi-dimensional nature of climate change impacts (e.g. on ecosystems and natural habitats, scarce water resources, food security, new health threats and risks to human infrastructure and habitats, among others). The use of ICTs has facilitated the creation of partnerships and collaboration among different stakeholders through e-conferences, virtual meetings, online chats, e-mail exchange and other online mechanisms. The emergence of online networks and communities of interest has played a key role in the response to extreme events. Efforts of volunteer and technology communities such as Crisismappers and Ushahidi have allowed to connect SMS information with situational maps in times of crisis, enabling humanitarian response. High-resolution satellite imagery, Wikis, Google docs and other collaborative platforms used by growing communities of volunteers and technical experts have enabled new ways of collecting, analysing and visualizing data within vulnerable contexts (Harvard Humanitarian Initiative, 2011). The use of ICT applications, including those used as part of e-Government programs, can help to provide transparency in the identification of climate change priorities and the allocation and monitoring of funds. ICTs can facilitate information sharing through digital platforms where citizens can report incidents anonymously, trace the distribution and progress of adaptation funding, and learn about local environmental regulations and rights (SPIDER ICT4D, 2010). While these examples of emerging experiences and research suggest a significant role of ICTs towards adaptation, the complexity of developing environments, where marginalization and inequality still prevail, pose the need to maintain a critical stand in regards to their role. Experiences in the ICT for development field (ICT4D) have drawn important lessons about the potential and the risks involved in ICT interventions (e.g. low information quality and reliability, security issues, resource diversion, deepening of power differentials, among others), which constitute valuable inputs to future analysis of ICTs’ role within climate change adaptation processes. Ultimately, adaptation thinking is opening an important window of opportunity for developing countries to design and implement novel approaches to change, and to overcome the challenges posed by climatic uncertainty with the help of ICT tools. Among many vulnerabilities that are intensified by the effects of climate change, the availability and management of water resources constitute one of the most critical areas of concern. From the provision of basic services and sanitation, to irrigation and food production, ecosystems protection and hydropower generation, water resources are not only crucial for socio-economic development but also a fundamental dimension of climate change adaptation. Water is also one of the principal means through which climate change manifests over the population and the environment (2010). Changes in precipitation patterns and seasonality, unpredictable periods of drought or floods and rising sea levels are only some of the water-related manifestations of a changing climate that is having particularly harsh impacts on marginalized and developing contexts. The uncertain, transversal and multi-disciplinary nature of the challenges posed by climate change demands innovative responses, particularly in terms of policy strategies and decision-making processes that enable change and that foster the capacity of the most vulnerable to adapt to new conditions. radios and the Internet- in the adoption of informed decisions and the coordination of efforts during climatic events, as well as their potential strengthening social networks, inclusiveness, and processes of learning and self-organisation, among others, could inspire new strategies and innovative policy approaches in the climate change field, especially in regards to the management of water resources. As we advance towards a new round of climate change negotiations in Durban, South Africa, as part of the 17th United Nations Framework Convention on Climate Change (COP 17), the linkages between water, climate change and ICTs could provide a window of opportunity for climate policy making ‘outside the box’. But how to link Water, Climate Change, and ICTs from a Policy Perspective? ICT tools can be used to strengthen the capacity of the institutions that govern water use at the national and international levels, improving the management and monitoring of climate related data among different sectors, as well as the access to and dissemination of information for consensus-building (e.g. watershed boundary agreements, international conventions, local laws and regulations, roles and responsibilities of different organisations and institutions involved in water management). ICT applications such as Geographic Information Systems (GIS) and mapping tools can help to link and prioritize local environmental and social needs with quantities/qualities of water resources required for different uses (e.g. irrigation, consumption, etc). At the same time, ICTs (e.g. e-mail, networking tools, distribution lists, wikis) can foster a more effective coordination of efforts between the institutions that are responsible for the management of water resources in different sectors, and those working in land resources development and planning. ICTs such as Web 2.0 tools (e.g. blogs, wikis or social media sites) could be used in support of participatory processes in the management of water resources. Plans for drought prevention and water security could be designed, discussed and monitored collaboratively, with the support of ICTs, by community members, civil society organisations and local authorities. Tools such as community videos, radio programs and audio blogs could be used to document local/traditional experiences in water management and adaptation, and foster the inclusion of marginalized sectors in these processes. ICT tools can support processes of mapping, documenting and disseminating information on the key risks and vulnerabilities present in both rural and urban contexts (e.g. mapping settlements in high-risk areas), facilitating the identification of linkages between the quality/quantity of water resources available, and other developmental conditions that are necessary for adaptation. At the same time, ICTs such as the Internet can help to broaden the access to information and resources on water management programs and sustainable practices through user friendly formats (e.g. videos, digital drawings, photo-stories, podcasts), as well as to awareness raising and capacity-building opportunities (e.g. e-learning). ICTs can play an enabling role in the generation and dissemination of locally relevant climate information that can be used by different stakeholders in decision-making processes. 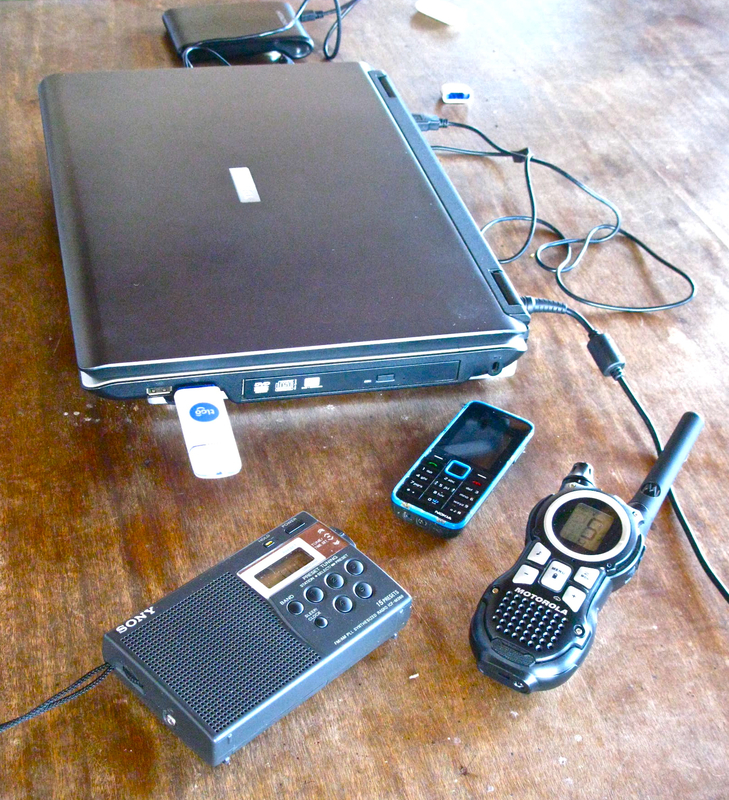 Tools such as the Internet, mobile phones and community radios can be used in support of awareness raising campaigns that foster climate change knowledge and preparedness/prevention, and that can be localized (translated and adapted) to respond to local priorities. In sum, promoting a climate-resilient management of water resources requires, among others, the adoption of innovative policy approaches that enable change by acknowledging the potential of new tools, such as ICTs, to strengthen critical areas of climate change vulnerability. Creative responses supported by ICTs on key issues such as water governance, water management, water adaptation and information systems, are an emerging priority to face the challenges posed by climatic uncertainty, particularly in Developing countries. The upcoming COP17 meeting provides a window of opportunity to think outside the climate ‘policy-box’ by considering how to take advantage of available ICT tools to foster flexibility, creativity, learning and inclusiveness as key attributes of resilient systems to climate change. Effective communication is essential in overcoming barriers, particularly those encountered during processes of adaptation and change. When faced with the many uncertainties posed by climate change impacts, the capacity to access, use and disseminate relevant information becomes crucial for vulnerable communities in order to better cope with and adjust to new climatic conditions -and to their social, economic and political repercussions. In a recent paper, Moser and Ekstrom (2010) present a framework to identify barriers that may impede the process of adaptation to climate change, including a set of obstacles that can be encountered during the phases of understanding, planning and managing adaptation. The authors found that “communication and information –about the problem, solutions and their implications- are perpetually needed aspects of the adaptation process” (p. 22029). However, the availability, access to, and dissemination of information and knowledge remain among the most challenging aspects within adaptation processes, particularly in developing regions. The lack of useful information (i.e. written in an appropriate, non-technical language, responding to local needs and priorities) about alternative livelihood options, rights and entitlements, new agricultural methods, credit programs or relief efforts, among others, can constrain adaptive actions -or even lead to maladaptation- within marginalised communities affected by climate change impacts. Within this context, innovative strategies supported by Information and Communication Technologies (ICTs) such as mobile phones, community radios, or the Internet and related applications, could help to overcome some of the barriers that arise throughout climate change adaptation processes. By helping to disseminate information rapidly among extended networks, ICT tools can help local leaders in the initiation of adaptation processes, as well as to sustain momentum over time. The use of Web 2.0 tools –such as Blogs, Facebook, twitter and other social media applications- can help to give visibility, share lessons and gain support –at the local, national and international levels- to adaptation processes and local leaders. By facilitating access to new sources of technical and scientific information about climate change, capacity-building opportunities (e.g. online courses) and broader networks of practitioners, experts and skills (e.g. virtual online communities, videoconferences), ICTs can expand the resource-base that can be accessed throughout the adaptation process. By contributing to systematize and disseminate relevant climate change information (e.g. through Web portals or community radio programs), as well as traditional and new knowledge about climate change-related impacts and potential responses, ICTs can contribute to raise awareness and to engage actors from the government, the private and the civil society sectors in collaborative responses. By helping to record and share local practices and beliefs (e.g. within and between communities, through mobile telephony, community-videos or social media applications) ICTs can improve our understanding of the ways in which local communities perceive and interpret climate change. They can also help to identify information needs and priorities -often linked to traditional values and beliefs- that need to be considered as part of adaptation strategies. Overcoming the multiple barriers that can emerge during processes of adaptation and change is a complex and multidimensional process, particularly when facing the uncertainty that characterizes climate change. But despite the complexity and uniqueness of climate change adaptation within a given context, the importance of information and communication is undeniable. The potential –and risks– of ICTs in overcoming adaptation barriers is a topic that requires further exploration, particularly through empirical cases that shed light on their role informing decision-making processes, fostering resourcefulness and creativity, empowering youth as adaptation leaders, and facilitating capacity building and collaborative actions among the actors involved in adaptive actions. Moser, S. and Ekstrom, J (2010). “A Framework to Diagnose Barriers to Climate Change Adaptation”, edited by Roger E. Kasperson, Clark University, Worcester, MA. PNAS, Vol. 107, no. 51. p. 22026-22031. ICTs and Farmers’ Decision-Making: New Tools for Climate Change Adaptation? The way in which decisions are taken plays a key role within climate change adaptation. Access to relevant information, the skills required to apply that information into local practices, the availability of traditional knowledge and experience, the perception of risk, the sense of social identity and the existence of social networks and institutions that can either advise, enable or constrain actions, are just some of the factors that play a role in adaptive decision-making processes. The complexity of such processes is exacerbated within contexts characterized by increasing climatic uncertainty, more frequent and intense seasonality, limited access to information, poverty and resource constrains. And it is within these contexts that Developing country farmers are facing tough decisions that can either hinder or strengthen their ability to cope and adapt to the challenges posed by the changing climate. Experiences from the field suggest that “environment related information ranks high in the needs of rural populations in developing countries” (Karanasios, 2011, Panchard et al., 2007), and that the increasing diffusion of technologies such as mobile phones provides a potentially powerful platform for the dissemination of relevant information. But the availability of information is not enough to foster processes of adaptation and change. Could Information and Communication Technologies (ICTs) such as cell phones, the Internet and related applications help to strengthen farmers’ decision making and to adapt more effectively to the impacts of climate change? A recent report titled “Decisions Made by Farmers that Relate to Climate Change” (Hogan et al., 2011) explores the factors that play a role in adaptive decision making, and provides a good basis to reflect on the potential of ICT tools -and innovative approaches- within farmer’s adaptive decisions. By facilitating the production and access to climate models and projections, ICTs can contribute to the identification of future and emerging risks and opportunities associated with climate change. Local decision-making can be informed by alternative scenarios, and the diversification of livelihoods, farming practices, or skill sets required to deal with change can be considered as part of long-term planning. By making climate change-related information more accessible and relevant to the local actors (e.g. through Web-based materials designed in the local language and addressing local priorities, or through text messages with simple, strategic content delivered to farmers’ cell phones) ICTs can contribute to improve the information and knowledge sharing between key stakeholders. By providing a platform to document and share both scientific and traditional knowledge through blogs, audio-files or community videos, among others, ICTs can help to strengthen adaptive practices, learning and social identity. By enhancing participation, monitoring and exchange between community members and broader networks, the use of ICTs can help to ‘give a voice’ to groups and individuals that could be, otherwise, excluded. The use of tools such as mobile phones and the Internet can contribute to community-based environmental monitoring, while ICT-capacity building can strengthen local-empowerment and the ability to self-organise in response to external climatic disturbances. In sum, providing relevant information for long-term planning, building on multi-level and multi-sectorial synergies, linking both new and traditional knowledge, and facilitating more inclusive processes, are some of the areas in which ICT tools can contribute to local decision-making, helping vulnerable groups -such as farmers- to adapt more effectively to the impacts of climate change. Further research on these emerging areas could help inform the design and implementation of public policies and innovative adaptation strategies within developing environments. The concept of Resilience occupies an increasingly prominent place within the climate change debate. 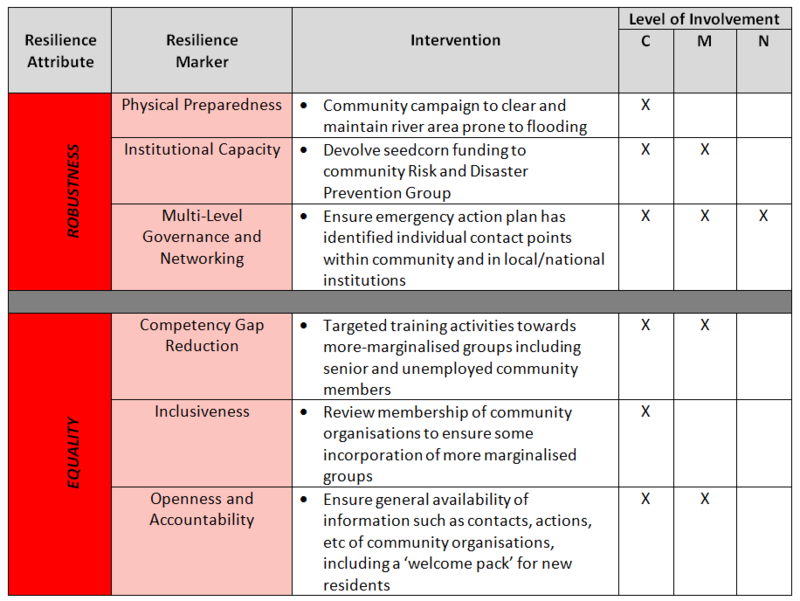 Defined by the Resilience Alliance as “the capacity of socio-ecological systems to absorb disturbances, to be changed and re-organise while maintaining the same identity”, resilience means much more than just bouncing back after the occurrence of a climatic event. It entails the ability of the system to learn from the disturbances, to change and adapt; ultimately acquiring the flexibility necessary to deal with the uncertainties and the opportunities posed by climate change. The attributes of resilience are particularly relevant within developing contexts, where the effects of more intense and frequent climate change-related events exacerbate existing vulnerabilities, further limiting their capacity to withstand, recover, and adapt to the changes. But, how can vulnerable contexts that are already facing the burdens of poverty and marginalisation, build resilience? The rapid diffusion of Information and Communication Technologies (ICTs), such as mobile phones and the Internet, is adding new angles to this debate. Effective access and use of ICTs could pose new opportunities for developing countries that are at the forefront of climate change impacts to build resilience and achieve adaptation. According to a recent paper titled “Linking ICTs and Climate Change Adaptation: A Conceptual Framework for e-Resilience and e-Adaptation”, ICTs have the potential of contributing towards climate change resilience and, therefore, could help to enable livelihood strategies that allow adaptation; that is recovery and adjustment in the face of climate change. Defined as “a property of livelihood systems by which ICTs interact with a set of resilience sub-properties, enabling the system to adapt to the effects of climate change”, e-resilience is suggested as an emerging area of study to understand how innovative ICT tools and approaches can strengthen the response of vulnerable systems to the challenges and uncertainty posed by climate change. 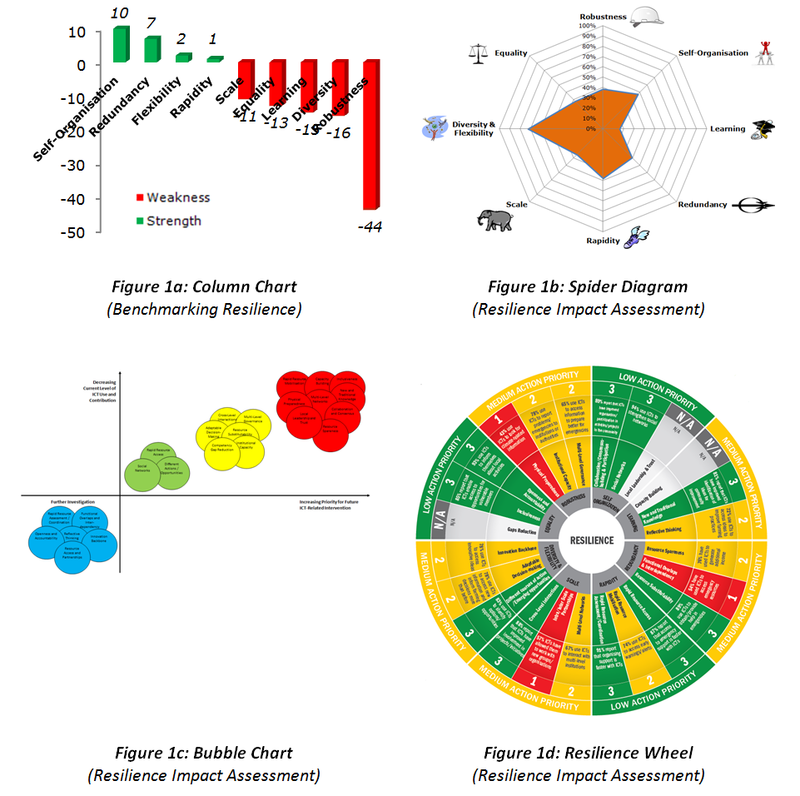 According to this approach, ICTs have the potential of contributing towards a series of resilience sub-properties (namely robustness, scale, redundancy, rapidity, flexibility, self-organisation and learning), thus helping to strengthen the adaptive capacity of vulnerable systems affected by climatic disturbances. Although much remains to be explored in terms of the role of ICTs towards systemic resilience, the introduction of this concept constitutes a positive first step towards a debate that could shed light not only on the role of these tools within climate change, but also on the extent to which ICT4D initiatives have addressed and contributed towards resilience building in the field. Evidence on the role and challenges posed by ICTs within climate change are still, for the most part, anecdotal and scarce, particularly in regards to adaptation. But as research continues to advance in this topic, and the linkages between the fields of climate change, ICTs and development continue to strengthen, the concept of e-resilience will likely re-emerge, to be discussed and transformed. As the impacts of extended periods of drought, heat waves, extreme storms or slow-changing climate trends continue to intensify, so will the need for developing countries to build resilience, a complex concept that goes well-beyond ‘bouncing back’ in the aftermath of a climate-related event. Resilience increasingly entails finding innovative solutions, with the help of tools such as ICTs, that enable vulnerable contexts to learn, adapt and possible transform in face of the uncertainties posed by the changing climate. ICTs and Climate Change Adaptation: Who’s Really Listening? In the midst of a continuous surge of information on climate change and its potential effects, adaptation experiences are emerging from every corner of the planet. And nowadays, news travel fast. A 0.30 second Google UK search of adaptation + climate change provides more than 86,000,000 results containing these words. Among those, stories on how communities in developing countries are coping with and adapting to climate-related manifestations are spreading swiftly. But in a world where everything seems to be increasingly interconnected, are we really listening? What is the link between strategies for crop diversification in drought-affected Congo and flood-prone Bangladesh, with early warning systems in small islands of the Caribbean, or new water management mechanisms in the Andean mountains? Discussing, learning, asking, sharing, are among the basis of adaptive processes, and can be both enabled and facilitated by the potential of new and traditional Information and Communication Technologies (ICTs) such as Internet access, mobile telephony or community radio, among others. It is within this context that the Communication for Sustainable Development Initiative (CSDI) of the Food and Agriculture Organization of the UN (FAO), recently published a report exploring the role of Communication for Development (ComDev) approaches within community-http://www.fao.org/docrep/012/i1553e/i1553e00.pdf adaptation (CBA). c) Communicate these data, information and knowledge. Salas then relates these areas with the main steps that need to be taken within adaptation processes (namely observation, analysis, planning, implementation & management, capacity building and networking), in order to demonstrate the potential of ICTs within community based approaches, which are characterized by multistakeholder action, innovation and social learning. Amidst an increasing tide of information on the topic, how do we keep our perspective afloat? Communication for Development offers important hints. By highlighting the value of community participation and empowerment, the promotion of locally relevant information, and the integration of indigenous and scientific knowledge within adaptive processes, it reminds us that reducing the vulnerability of developing communities should be a key driver of actions in this field. And these are areas in which ICTs have a significant potential. It is equally important to reflect on the potential challenges posed by new technologies, as well as on the enabling environments (including institutions, legal structures and policy frameworks) that are required for ICTs to play an effective role within adaptation. The report produced by FAO provides a good basis for this discussion, and also suggest the need to conduct further research on the question of who’s really listening. Issues such as the links between actions enabled by ICTs at the community level and climate change policy making, or the role of community-based organizations and infomediaries (including telecentre workers) within local adaptation processes, as well as the role of ICTs towards climate change perceptions and awareness raising, remain open for discussion.